How the adoption of AI and Automation in banking is evolving. Banking is perceived to be a conservative industry, but necessity is now forcing the sector to seriously consider the opportunities presented by artificial intelligence (AI) and automated decision-making. On one level, the United Kingdom’s Competition and Markets Authority’s Open Banking revolution is really forcing banks to rethink how they use new technologies to engage with customers and has created a far more competitive banking and lending market. On another, younger generations (the under 35s) are also presenting new challenges for banks. This digital generation expects seamless, flexible multi-channel platforms. They want fast responses and effective solutions to their problems, right now. They want to shop anywhere and at any time, and unlike their parents, they will change provider if they don’t get what they need. 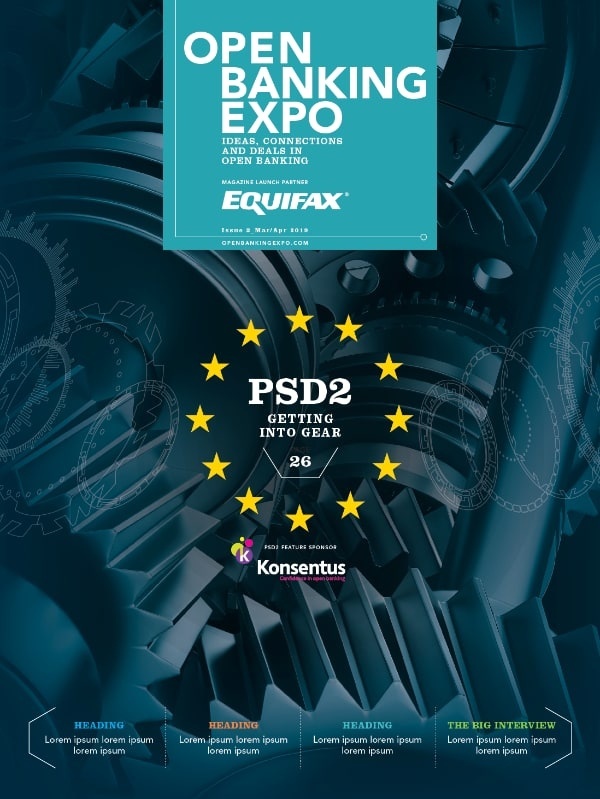 The new European Second Payment Services Directive (PSD2) is putting existing legacy systems (especially in areas such as fraud detection) under immense pressure as well. They cannot cope with the increased velocity and higher data resulting from real-time payments through these additional channels. Finally, the banking sector is still struggling to achieve profitability a decade on from the financial crisis. AI is perceived as a dual antidote to these challenges, creating the ability to better streamline processes and spot patterns (with an eye on reducing both risk and cost) AND as a stream of new revenue-growth potential (through precision targeting and superior customer profiling). However, it’s importantthat banks don’t become preoccupied with AI innovation at the expense of security issues, such as fraud prevention. The modern omni-channel banking experience is often at direct odds with efforts to reduce the impact of fraud. The more channels there are, the more “blind-spots” they create that are ripe for exploitation. Modern fraudsters deploy increasingly sophisticated attack methods that now bypass many legacy fraud-detection tools, decreasing the effectiveness of them. And compounding the challenge further is the need to avoid customer disruption and transaction friction, as nearly 40 percent of cardholders continue to abandon cards after false declines. However, AI-driven automated decision-making is a very effective way that banks can handle the volume and frequency of potentially fraudulent transactions hitting their businesses. The technology can quickly detect and flag key anomalies and handle huge streams of financial transactions. This makes it possible for any organisation to cost-effectively emulate and complement existing best-practice decision-making, make it available at scale and be able to see how the certainty of the final decision was determined. As an example, my company recently helped a leading card provider, processing more than half a million transactions per minute, to correctly automate the analysis of false positives in 85 percent of all fraud cases. This customer expects a 60-percent reduction in back-office fraud-processing costs and increased fraud-detection rates as this scales. The sharp rise in customer demand for more flexible omni-channel payment services is also leading to more and more banks turning to chatbot solutions as a way to offer personalised customer interactions, while also reducing costs. The large (multinational) retail banks operating extensive branch networks and contact-centre operations are supporting millions of customers and dealing with thousands of enquiries every day. Where they even exist, the knowledge-management systems that staff currently use to help resolve queries are cumbersome and time-consuming to maintain, and are quickly outdated. Few are fit for purpose. High staff turnover in call centres can also create knowledge degradation and ultimately lead to inconsistent judgments being made on the same day-to-day issues. As such, consistent decision-making is almost impossible. In this scenario, AI technology offers banks a route to increase efficiency while concurrently improving the customer journey and reducing complaints, ensuring more problems are solved at first touch. AI chatbots are also finding their way into other areas, including inter-dealer brokerage through which they are making trading simpler, more efficient and transparent. The billion-dollar brokerage market is severely outdated with services notoriously slow, unreliable and expensive. Calculating and executing multiple deals requires substantial time and manpower. On top of that, new exchanges, tokens, cryptocurrencies and platforms all need to be incorporated into the way deals are made. Virtual brokers are a way to increase productivity and transparency, and in doing so eliminate the errors, abuse and criminality that plagues financial markets that rely on human brokers. In fact, June saw the first ever trade brokered by an AI-powered chatbot—a milestone that will usher in a new era for financial trading by increasing productivity, efficiency and bringing greater transparency to executed trades. The AI chatbot approach eliminates the human error, abuse and fraudulent transactions that have plagued brokerage firms and impacted markets. Traders receive the same quality of experience as using a human broker, but with greater consistency. The response time for clients is significantly faster, and the chatbot can engage in multiple conversations simultaneously. This enables trading to operate at enterprise scale, in a way it hasn’t been able to previously. Human-like automated reasoning used in the trade is also auditable—meaning it’s able to provide an explanation justifying every interaction the system undertakes. This gives traders unprecedented insight into their own transactions, with a fully transparent audit trail to satisfy regulators. Another useful application of AI in banking includes COIN, which was devised by JPMorgan Chase. It is a contract intelligence platform that has saved the bank more than 360,000 hours of labour using bots capable of analysing contracts with unprecedented efficiency. That’s a stark example of the kind of impact AI is already having in banking—it can save huge amounts of time and money and provide a new level of experience for the modern consumer. Other use cases that really stand out are those that do morethan automate transactions and tasks. Examples include personalising financial recommendations after analysing a customer’s account data—applying human-like reasoning. Bank of America’s virtual assistant Erica is an exciting example of this. AI’s use in fraud management and customer experience is increasingly becoming accepted as integral to a bank’s defences. Both are about understanding patterns of consumer behavior, and banks seem to understand that this is a task very well suited to intelligent automation. But when it comes to chatbots and virtual assistants, there is generally more caution. That’s largely because there is still a lot of technology refinement that needs to happen before banks can be totally confident about automating front-end interactions with customers. The limitations of today’s natural language processing (NLP) technology means that there are too many opportunities for potential speech- interpretation faux pas that damage brand credibility and increase risk. The NLP needed to perfect this kind of use case remains largely in its infancy. That is not to say that chatbots cannot be effective, because they have been effective tools for the front- and back-office worker, augmenting them in the service of the customer. 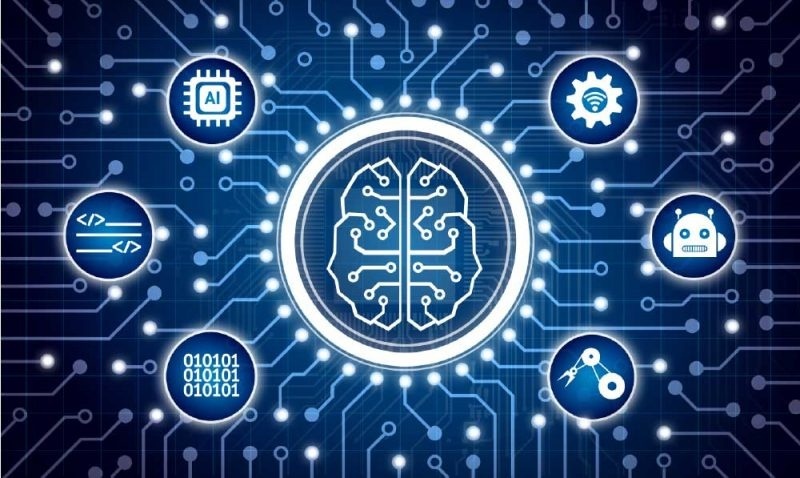 Some banks have made admirable progress with AI, but the sector as a whole still lacks consensus on how AI should be used, with many of the current efforts to apply AI and machine learning remaining relatively modest. It has taken a long time to educate banks as to which technologies can deliver measurable results. At a higher-level, AI, machine learning and data solutions are also driving a change in the way banks procure new technologies. Traditionally banks would prefer to buy from large suppliers such as SAP and IBM with established product lines and implementation strategies, but the pace of technology growth and the proliferation of start-ups has meant that the large traditional banks have had to adapt to working with small start-ups. This can be a challenge because enterprise can easily sink a start-up under the weight of their procedures and controls. The ability to test the performance of new technology in the context of “real” business challenges is key, and this can be difficult for banks. On the plus side, however, there’s now an increased recognition from banks that focusing on a specific, well-understood business problem and finding solutions to it is the right way to move AI projects forward quickly and successfully. This may not seem like astonishing insight, but previously we have seen a lack of focus when introducing new technologies. The cry of “We need AI!”has replaced the cry of “We need an app!”, but they often don’t match the evaluation of a technology solution to a real-world problem. This can lead to aimless projects that have very little chance of even maturing to support the business. “Innovation for innovation’s sake”; interesting, but ultimately pointless. Creating a project team between the bank and the supplier with a mix of technical staff and subject matter experts is key. Having a strong business focus ensures that the actual problem stays centre stage, and that demonstrable success criteria are calculated at the outset. Certainly, in terms of chatbots and virtual assistants, there will continue to be scope for improvement. The industry is constantly evolving new ways of perfecting interactions between bots and humans, certainly to make these tools as human-like as possible but also to ensure that appropriate constraints are imposed to ensure an effective outcome. Banks are now realising that sometimes a chatbot has to be a little less chat and a bit more bot. Artificial narrow intelligence (ANI) has always been the only AI that has been successfully applied in a business context, so thinking narrow and starting small remains key. Right now, the industry is gently testing the waters rather than confidently racing towards an AI-enabled future. It helps when banks get clarity as to whether they are looking to AI to discover hidden insights in data or drive further automation use cases. The most effective application of AI in banking so far has definitely been in identifying and preventing fraud and making that process more efficient. Automation enables organisation to have a single, continually updated view of the customer journey and potential fraud access points, delivering a holistic approach to detection and investigation. ← Round table review: Open Banking ‘could drive down the cost of advice’.